Poetry being what it is, the poems I write may have more than one layer of meaning, and may be about me or about people I have listened to or invented. Like most people I did some writing at school, but got most interested again in my 20s when I started journaling and also using poems to help me work out what was going on inside myself, or others. Around that time I studied Counseling and worked with young people. My goal was to try to put into words things that were hard to say, as briefly as I could. My Aunt Priscilla in the US was a regular correspondent and encouraging critic. She gifted me my first book about writing, ‘The Intimate Art of Writing Poetry‘ which was a revelation. Not dry and technical, but living and breathing. Later I bought my thesaurus, and over time discovered writing groups (wonderful for mutual critique) and writing courses (Arvon Foundation for residential courses, and recently The Poetry School for online courses, critique and inspiration). 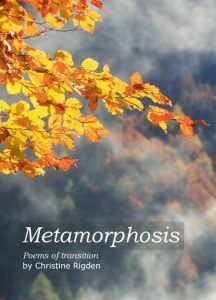 Encouraged by having several poems published in magazines, I published a couple booklets in the ’80s (Insights, then Choices) through a small local press where I lived in Wales who typed up, photocopied, stapled and trimmed for me, under my own publishing imprint Lle Noddfa Books *. I kept the name when I moved from Wales to Colchester, and the loan of a Mac Plus meant I could do my own typesetting for ‘a proper book’ – one with a spine! I was working in a drawing office at the time, which gave me the space and equipment to spend my lunchtimes ‘pasting up’ and preparing cover art ready to take to a printer. Acorn Press was very kind, agreeing to print just 500 (others all required min 1000), and on recycled paper (which wasn’t great at that time), and helped me through the learning curve of preparation. In 1989 Mis-steps and Dances was born. I’ve recently published a new book of poems, Metamorphosis: Poems of Transition. It was 27 years since the previous one, so it was about time! Using modern online technology, the self-publishing process is much easier. 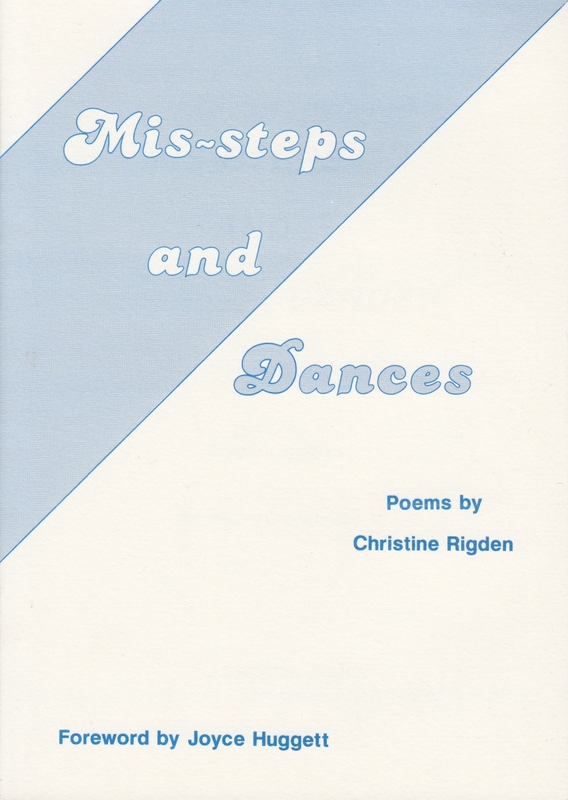 In due course I may reprint the earliest two booklets, and digitise Mis-steps & Dances. 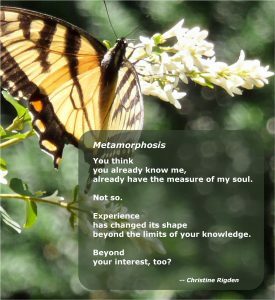 Metamorphosis is available as paperback and Kindle on Amazon.co.uk and Amazon.com as well as other sellers online. Contact me if you’d like a copy of Mis-steps and Dances.